If you are aren’t a fan of moving parts, then the new Toshiba Portégé R500 12Q could be the laptop for you – boasting a huge 128GB solid state drive. Although solid state hard drives have become an increasingly popular choice in the laptop market – not least because of their increased reliability when being moved – the major limiting factor has been the size. SSDs do come at a rather hefty premium at the current time, and Toshiba is yet to put a price on the 12Q, but the manufacturer’s decision to make the model available is indicative of the changing market. 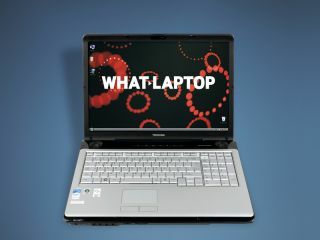 The 12Q also boasts a 12.1-inch backlit LED screen, the increasingly standard 2 gigs of RAM and a Core 2 Duo ULV U7700 processor all packed into a 25.5 mm wide package.